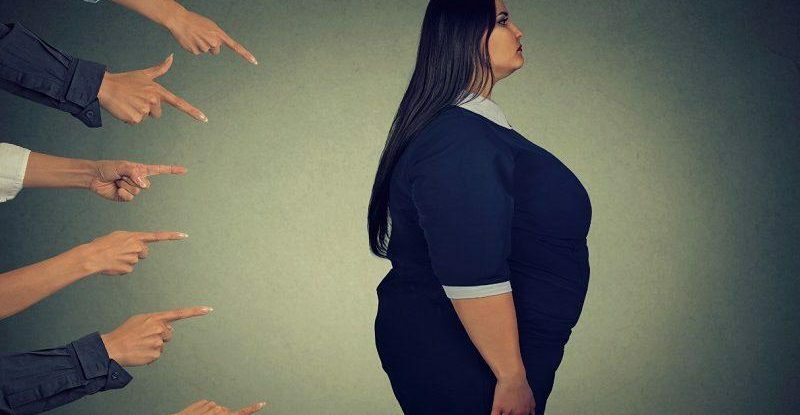 rebelfit - ​Why I Can't Tolerate Obesity Stigma Anymore! ​Why I Can't Tolerate Obesity Stigma Anymore! "Hello there, just followed your page after listening to the obese video. My problem with my weight stems from living in a violent household as a child. Not violence towards me but my mother. More emotional abuse towards myself. I know I have a toxic relationship with food. Done therapy to overcome anger and anxiety/depression issues but I can't crack the food issue. Can you point me in the right direction for some help please?" Your experience is EXACTLY what I'm talking about and EXACTLY the reason I'm fighting against obesity stigma. When I first started my personal training career back in 2003 I genuinely thought overweight people were lazy and greedy and they just needed to "eat less, exercise more". As I started to train my first overweight clients, and as I saw how hard they struggled to control their overeating, I realised there was so much more going on. My clients were leaders in industry, experts in science, they were high court judges, they were world renowned surgeons, they were famous actors and musicians, and they were everyday, hard working people. Seriously hard working people who left for work at 6am and came home at 9pm to put food on the table for their families. Yet they were all obese. I could no longer accept my belief that obese people were lazy and greedy because, quite simply, THEY WERE NOT. So I needed to understand what was going on. Why they were obese even though they clearly weren't lazy or greedy. In the hope of finding someone, somewhere who could help me understand what was causing my clients to gain weight. Just 10 minutes down the road from me. I found her number, I made the call and I arranged a meeting with her that would ultimately be life and career changing for me. I explained how I couldn't understand why my clients struggled to control their overeating, and why my clients were obese, when clearly they were highly motivated people. "Liam, there is so much more to it than willpower and motivation. There is an emotional basis to overeating, and for many obese people this is the source of their weight gain. They are literally eating their emotions." It was using food, almost like an anaesthetic, self-medicating to numb the pain of their emotions. For many of my clients those painful emotions arose in toxic, abusive family environments as children, much like your own. Maybe you can remember how the pain, the anxiety and the fear could be very quickly soothed and suppressed by eating and by bingeing. Since that meeting with Julia Buckroyd I've been on a 15 year journey studying and researching the causes of obesity. Not all obesity has the same cause. For some the driving force is metabolic, driven by imbalances in their hormones. For some the driving force is financial, driven by food insecurity and poor food quality. But for some, like you, the driving force is emotional, driven by a cycle of pain, anxiety and fear that as a child you only learned how to manage with food. This will have carried through into adulthood, so even today when you feel that pain, that anxiety and that fear overeating will be automatic for you. And even in the absence of those emotions, the pattern of eating you've developed will most likely have progressed into "eating addiction" (not "food addiction") whereby certain environments will be a trigger for you. But it starts by eliminating the guilt and the shame and blame for your overeating and your weight. And any PT or nutritionist or doctor or health expert who claims it is your fault, simply doesn't understand the emotional basis of obesity. Direct them to Julia Buckroyd's work, or mine. What comes next is a long process of both eliminating those painful emotions, through counselling and other talking therapies, as well as learning how to manage those painful emotions in calorie free ways. It's a process of replacing your usual anaesthetic (food) with something calorie free (talking, exercising, meditating, writing, ranting, painting, the list goes on). It's also a process of making peace with food and learning to relax around food, which will reduce the intensity and duration of your binges. You don't have "a toxic relationship with food" and that kind of thinking and language is only going to drive the feelings of guilt and shame that increase your binging overall. I hope this response helps you start the process. But most of all I hope this helps you, and others, realise that the claims being made on social media that obese people are greedy and lazy are wrong. p.s. Please share this post and the research into obesity stigma so that we can stop this damaging belief that obese people are greedy or lazy.